What is Peter Pan all about? Many of us realise that there is a bit more to the stories than a simple fantasy about flying away to a wonderful place in which to play, and that there is something psychologically rather dark about the events in the stories. But J. M. Barrie's work has not previously been considered from the perspective of either the science of his time, or the insights of modern cognitive psychology. This book explores the texts of Peter Pan in Kensington Gardens (1906) and Peter and Wendy (1911), and argues that Barrie describes the limited mental abilities of infants and animals in order to illuminate the structure of human adult cognition. Barrie had a well-informed, post-Darwinian perspective on the biological origins of human behaviour. The idea that human consciousness, cognition, culture and sense of moral responsibility could have origins in animal behaviour was deeply shocking to the nineteenth century intelligentsia, and remains controversial in some sections of academia even today. Barrie's work contains many insights into what is now referred to as mental representation and theory of mind, areas of cognitive psychology that have been examined scientifically only in the last few decades. 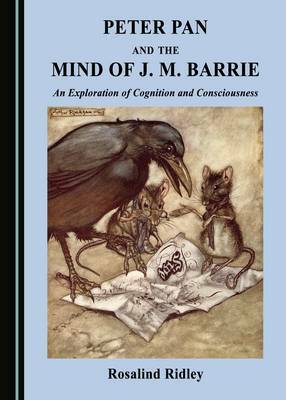 Barrie also reflects on the nature of consciousness in a way that parallels modern interests. As books with a complex scientific undercurrent, Barrie's Peter Pan stories rank alongside Lewis Carroll's Alice in Wonderland and Alice through the Looking Glass, which engage with complex issues of mathematics and logic, and Charles Kingsley's The Water-Babies, which explores the implications of evolution for human society.